There are so many wonderful children's books out there. Here we will talk about just 6 of those tales, but in many literary circles these stories are held in high esteem. Do you agree with this list? Let us know at the end! The more that you read, the more things you will know. The more you learn, the more places you’ll go. 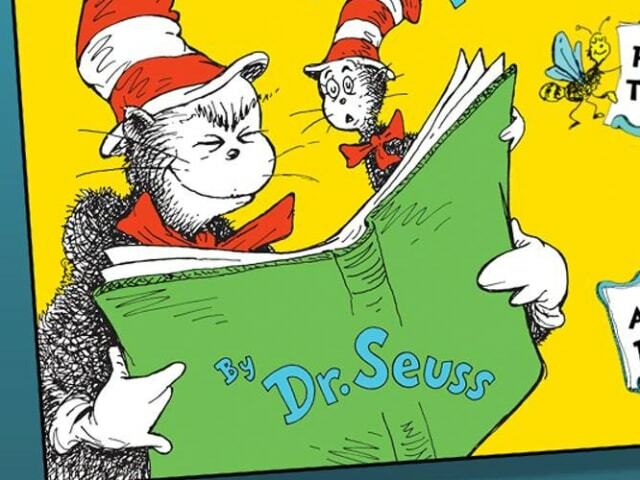 Dr. Suess, from "I Can Read With My Eyes Shut!" 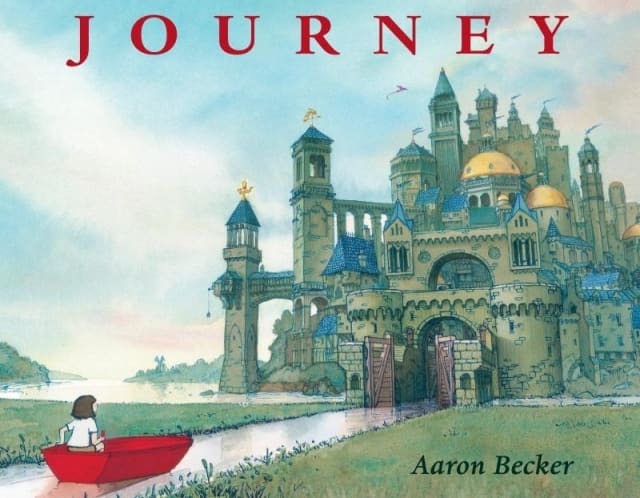 In this tale written and illustrated by Aaron Becker, a young girl escapes the boredom of home and discovers a magical realm in which she can control her destiny through the power of her imagination! With an incredible visual narrative, this book inspires wonder and offers readers of all ages a springboard for imaginative adventures of their own. It is the first book in the "Journey Trilogy," followed by Quest, and then Return. Before this book was released in 2013, the author worked on children's animated films such as The Polar Express, Cars, Monster House, and the 2009 version of A Christmas Carol. This is the first book in the "Arthur" series, about a young anthropomorphic aardvark who lives in a world full of other anthropomorphic animals. His classmates at school taunt him because of the length of his nose, so he decides to see a specialist and have it fixed. Even after he takes a look at the options the man has for shortening his nose, Arthur decides against changing his natural appearance. He returns to school and the taunts cease, although occasionally Francine still complains mildly about his nose being in the way. 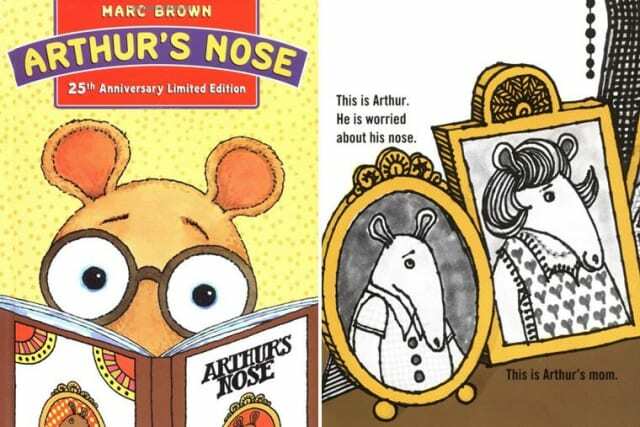 This book inspired a series of other children's tales about Arthur the aardvark, and even spawned an animated special on PBS that still runs today! 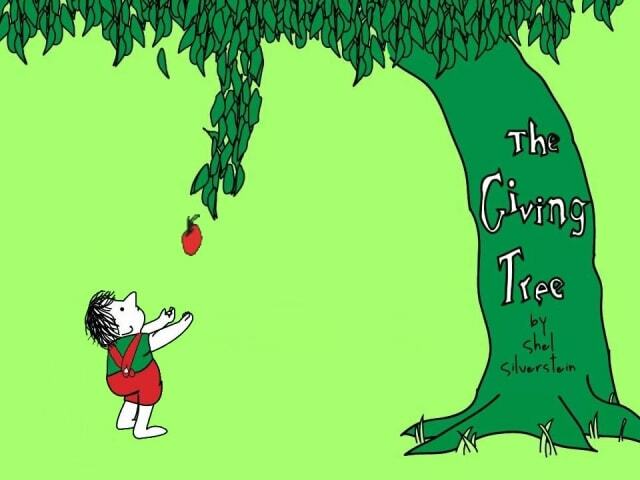 This is the tale of a tree who is very giving, and a boy who becomes increasingly more selfish. At first the boy enjoys playing among the tree's branches, and eating its apples. As he grows older the boy spends less and less time with the tree, and seems to visit only when he wants some material items. Wanting to make the boy happy the tree gives him her apples which transform into money, her branches that become his house, and her trunk which becomes a boat. Once the tree is only a stump, it is no longer happy. The boy returns to the tree one last time, as an elderly man wanting "a quiet place to sit and rest." Being able to give the boy this final thing, the tree grows happy once again. 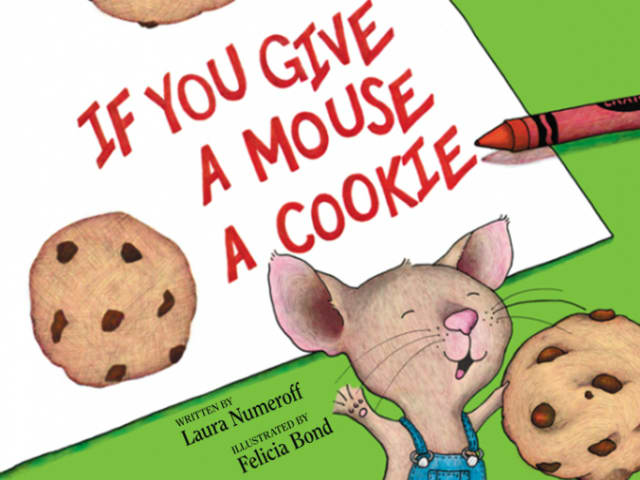 This is the circular tale of a boy who gives a mouse a cookie. Once it has the cookie, the mouse asks for a glass of milk which leads it to ask for a mirror to avoid getting a milk mustache. It then asks the boy for nail scissors to trim its hair in the mirror, and a broom to sweep the trimmings. Next it wants to take a nap and have a story read to it, draw a picture, and then hang the picture on the fridge. Looking at the fridge makes the mouse thirsty so it asks for a glass of milk... and then it asks for a cookie to go with the milk, thus completing the circle. This book has been followed by 15 other tales in the "If You Give..." series, and this first title is considered a contemporary classic! In this book containing only 338 words, a boy named Max dresses up in his wolf costume and wreaks havoc throughout his house. Max gets sent to bed without supper, but when he enters his room it transforms into a jungle where the malicious "Wild Things" live. Though the Wild Things are large beasts, Max is able to intimidate them and become "King of the Wild Things." 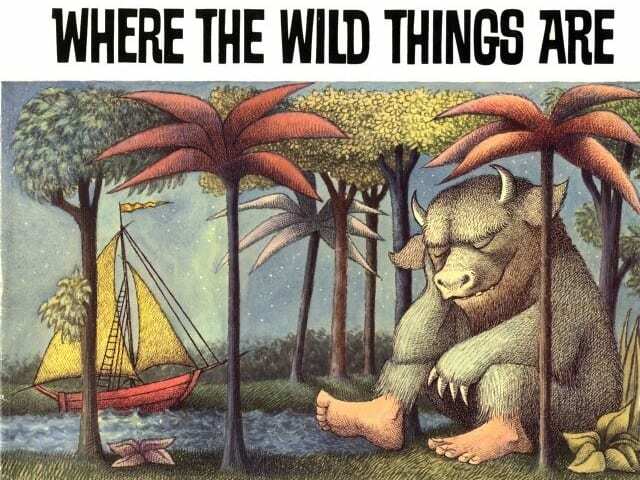 They all have a fun romp through the jungle before Max decides, to the Wild Things' dismay, that he wants to return home. When he is back in his bedroom, Max discovers a hot supper waiting for him. This book originally received negative critical reviews, and was banned from many libraries. 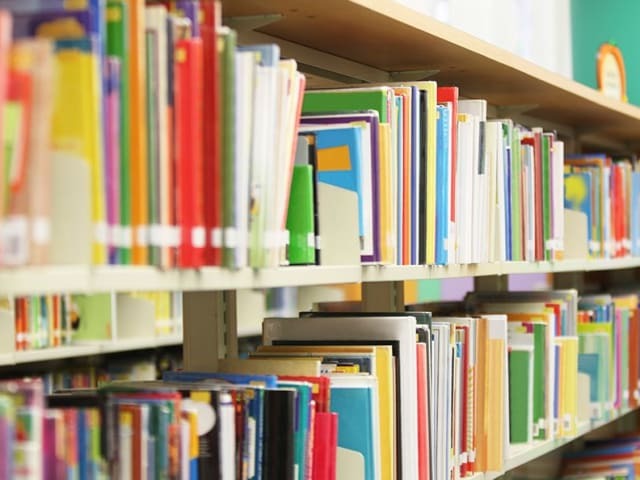 That changed after about 2 years when librarians and teachers realized that children were flocking to the book, checking it out over and over again! The Lorax speaks for the trees! When the Once-ler discovers a forest containing Truffula trees, he chops one down. He uses it's foliage to knit a "thneed", a garment that is unbelievably versatile. The Lorax emerges from the trunk of the Truffula and disapproves of it being cut down, especially for something like the thneed. However someone comes along and buys the thneed from the Once-ler, inspiring the man to build a business around the manufacture and sales of his thneeds. Soon all Once-ler's relatives move to the forest and they begin chopping down more and more Truufulas. 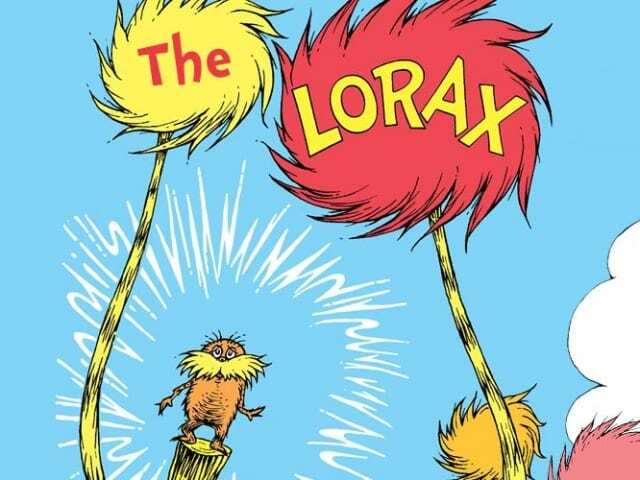 The Lorax warns that the animals of the forest need the trees for shelter, and food, and that the factory is polluting the waters there. In the end it is the Once-ler who is telling a young boy about the importance of the trees, and that since the Lorax disappeared someone else will have to speak for the trees. What do you think of our list?